A small, ground-based autonomous robot doing basic janitorial work. This is a relatively early reference to this idea. The Roomba vacuum cleaner and the Scooba floor cleaning robot from iRobot are now ubiquitous and relatively inexpensive devices. Most of the Interior staff had gone home to bed; it was almost three in the morning, and the corridors and offices were deserted. A few mechanical cleaning devices crept here and there in the darkness. 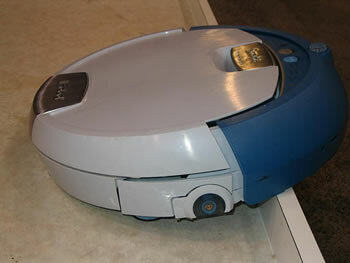 Compare to the MSE-6 series repair and clean up droid, made famous in the original 1976 film Star Wars. Also, fans of Ray Bradbury might be thinking of the robot mice from his 1950 novel The Martian Chronicles, while Heinlein fans might be thinking of the hired girl robot from his 1956 novel The Door into Summer.